Paris Saint-Germain prepared nicely for Tuesday’s Champions League visit of FC Barcelona with a convincing 3-0 win away to Girondins Bordeaux on Friday to go joint top of the French table with 55 points, although they dropped three adrift again the day after when Monaco pumped five goals past Metz. 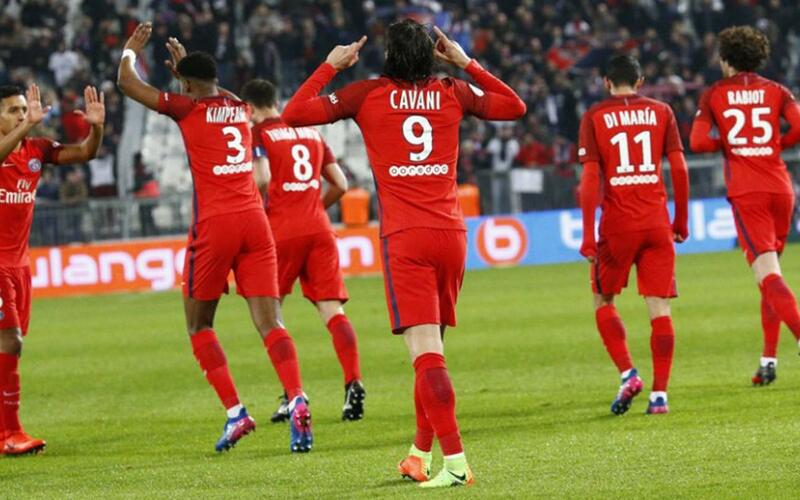 Edinson Cavani opened the scoring for PSG, while Angel Di Maria had made it two before the break. And the latter then laid on the ball for the former to score a third shortly after the restart. South of the border, Barcelona enjoyed a few hours back at the summit of LaLiga after their emphatic 6-0 win at Alavés, but dropped back to second after Real Madrid, who also have two games in hand, win 3-1 at Osasuna. They made hard work of it though, with Sergio Leon cancelling out Cristiano’s Ronaldo's opener and the all-whites not re-establishing their lead until Isco found the target on 62 minutes. The result was still hanging on a knife-edge until the very last minute, when Lucas Vazquez nabbed a third and Madrid were home and dry. Third placed Sevilla beat Las Palmas away thanks to the substitute Correa's goal in the 79th minute which settled a close and enthralling contest in which both keepers played excellently. In the end, third placed Sevilla went home with the three points and they are now on 46, trailing Barça by two points. Two goals in the last four minutes gave Atlético a 3-2 come from behind victory against Celta Vigo in the Calderón, Antoine Griezmann getting the all important winner. The win keeps Diego Simeone's side in fourth place, just a point ahead of Real Sociedad who won 2-1 away at Espanyol. Next up for Barça is a first ever home fixture versus Leganés on Sunday 19 at 8.45pm CET (TICKETS). The Madrid based side, who are among the bottom clubs but out of the relegation zone as things stand, missed the chance to go eight points clear of chasing Sporting Gijón, who won 2-0 and closed the gap on Leganés from five points to two. Canella and Burgui gave Sporting their first away win of the season and Leganés will be looking for an away victory at the Camp Nou to ease the pressure.